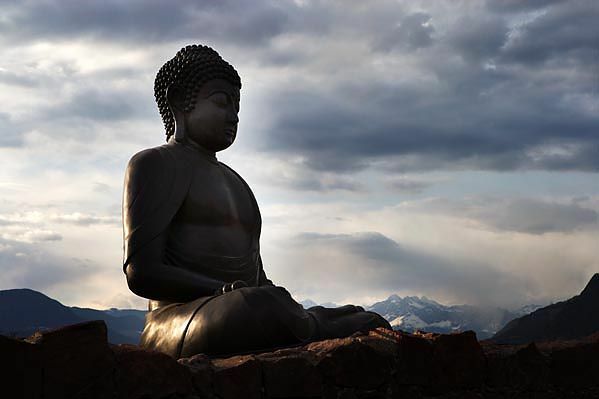 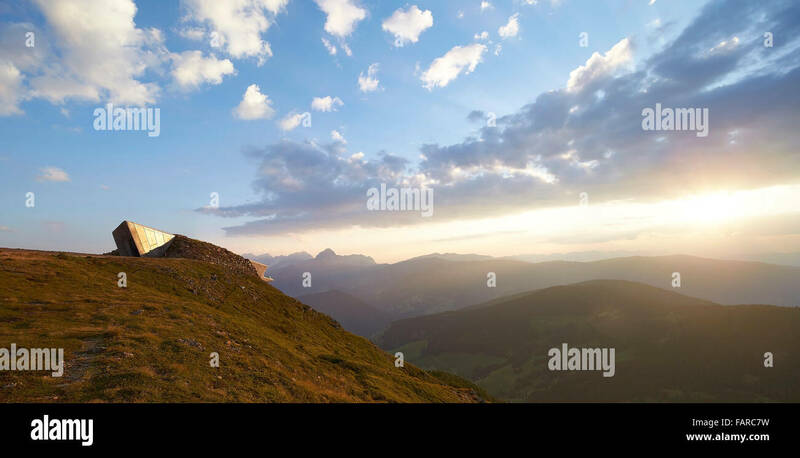 Sunrise over the mountains. 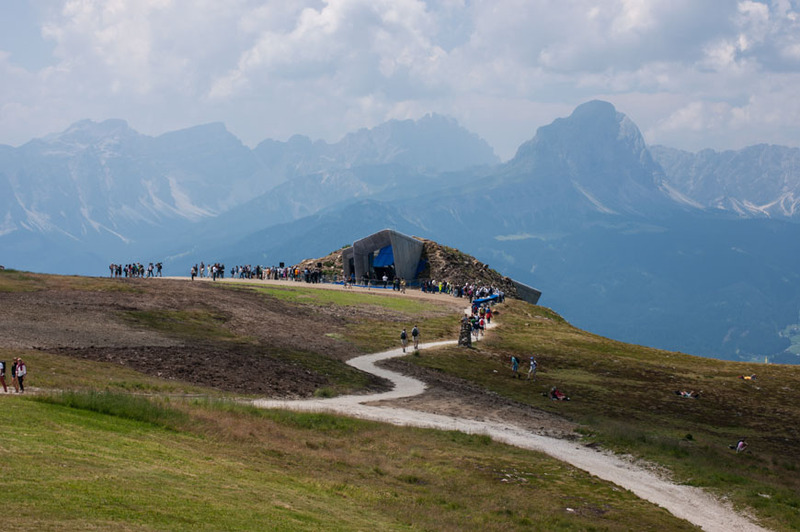 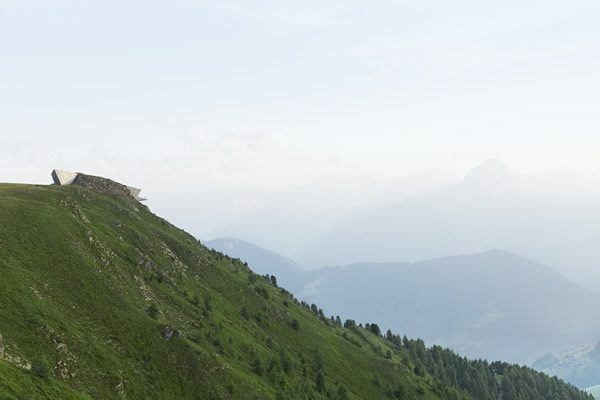 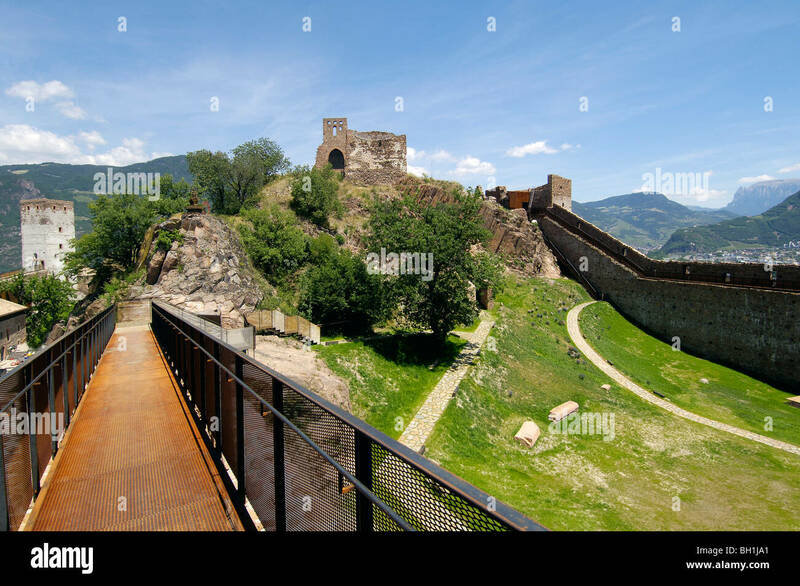 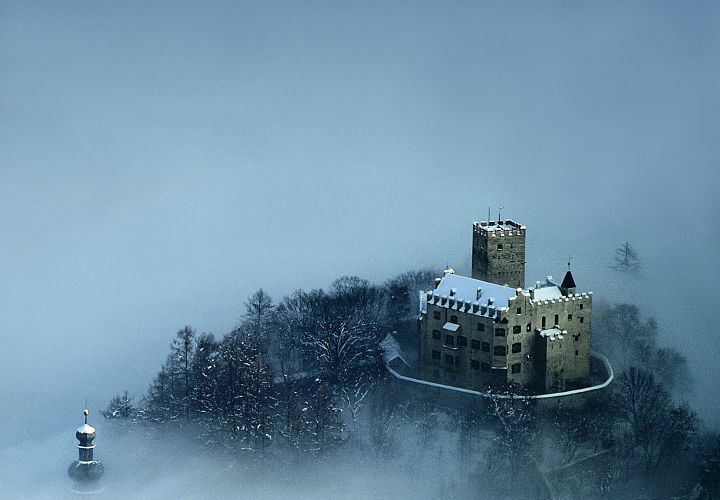 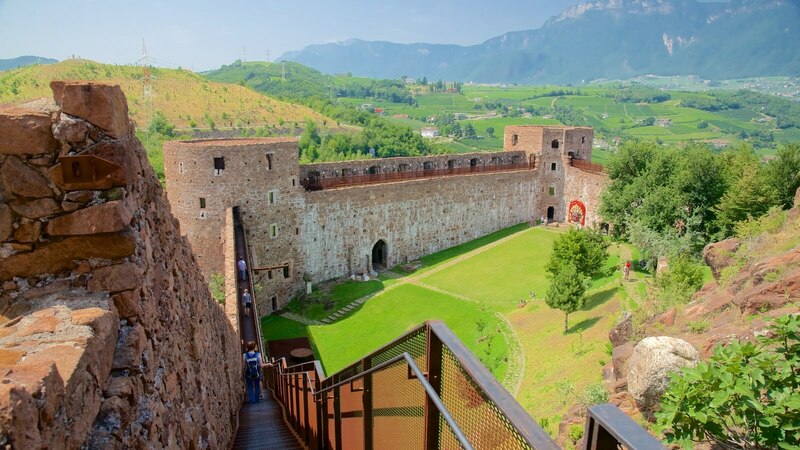 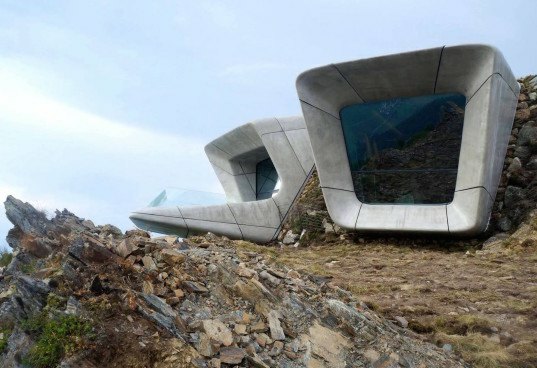 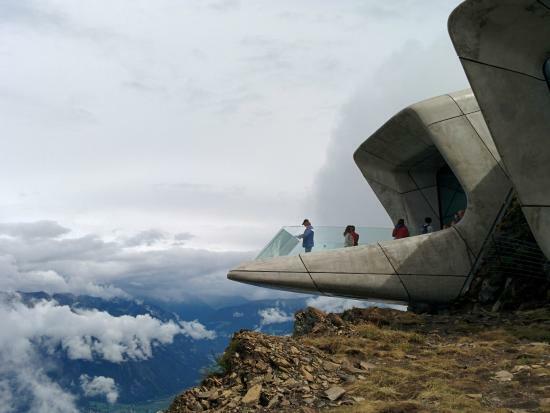 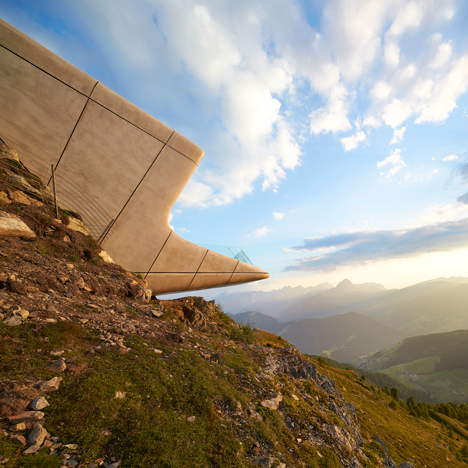 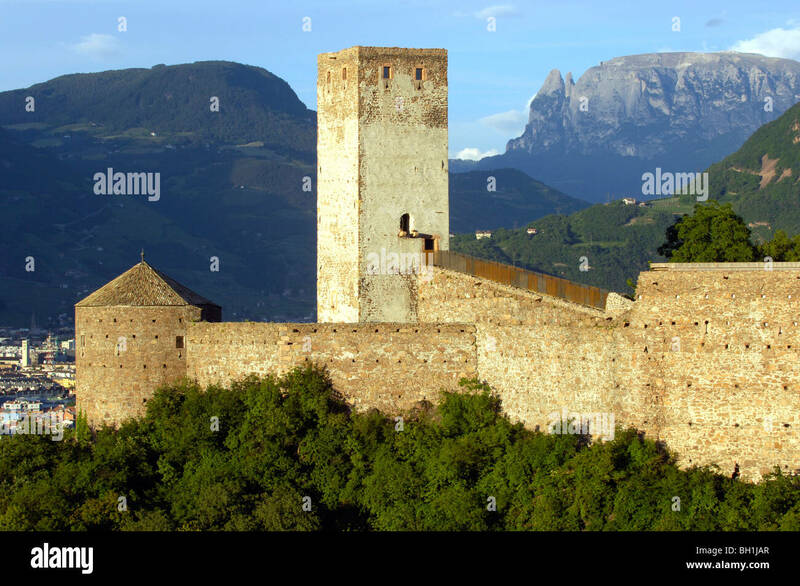 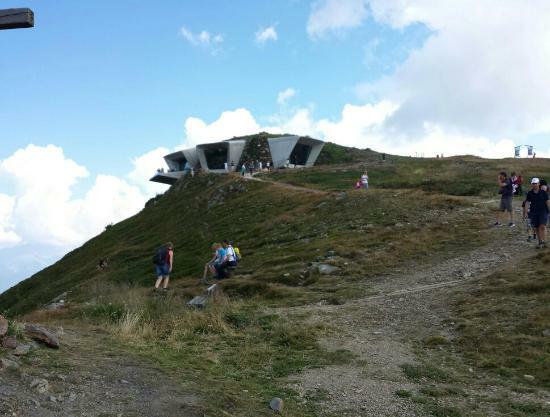 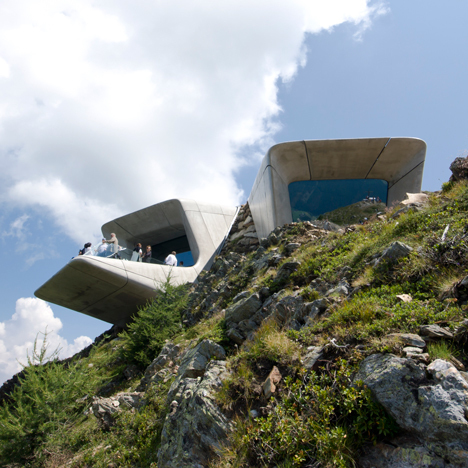 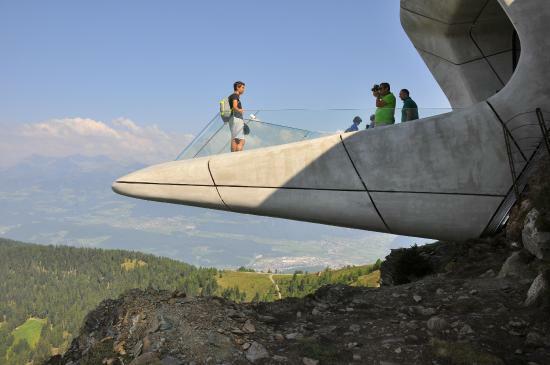 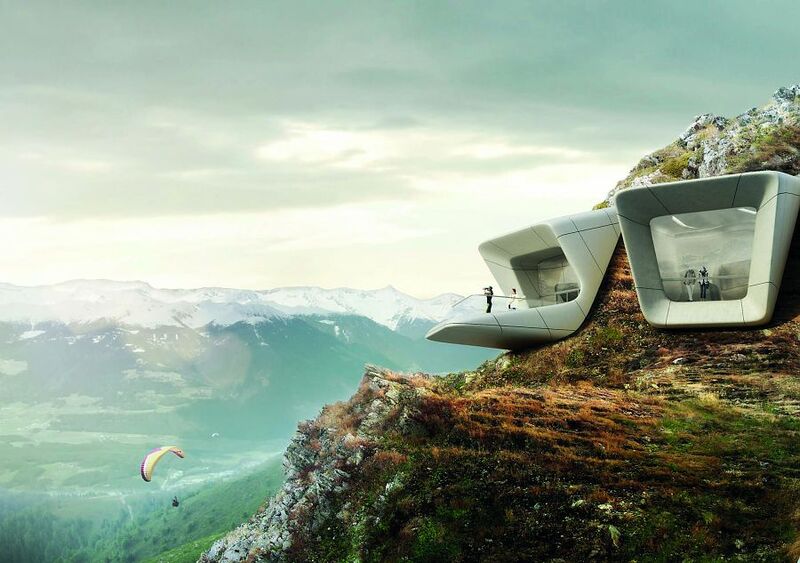 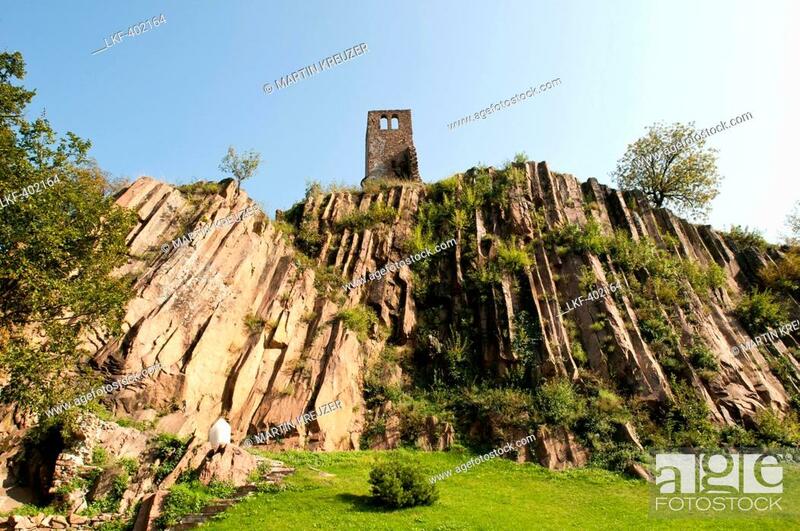 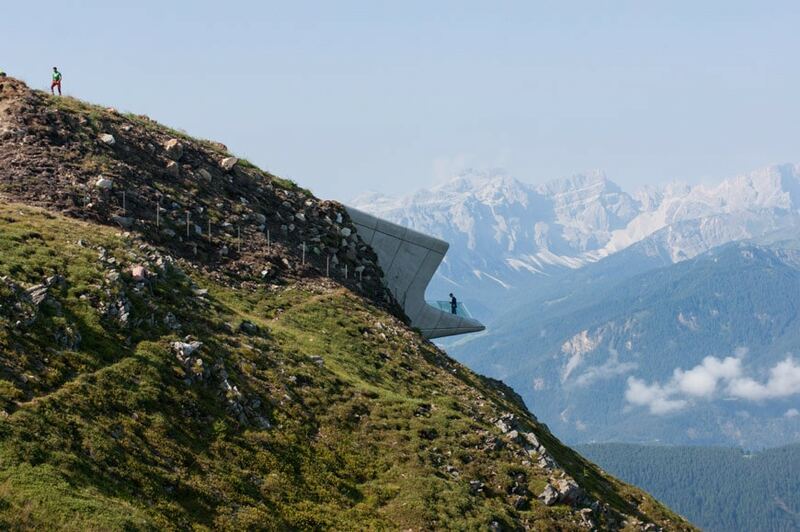 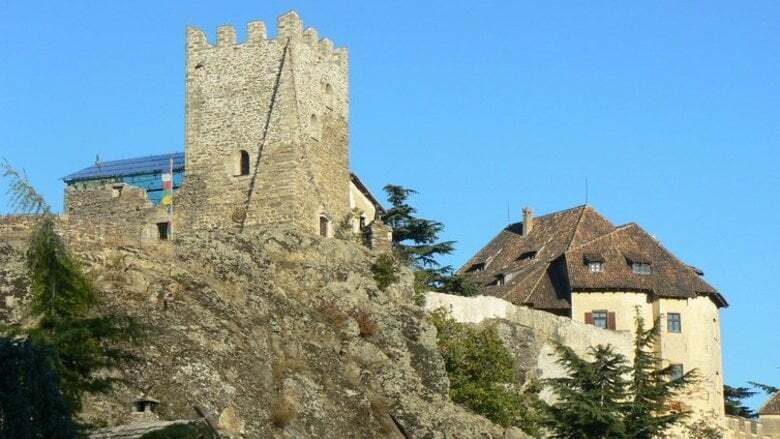 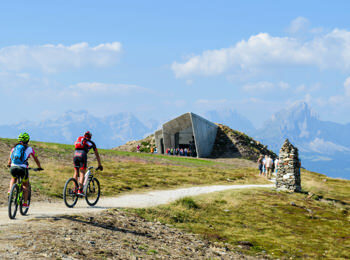 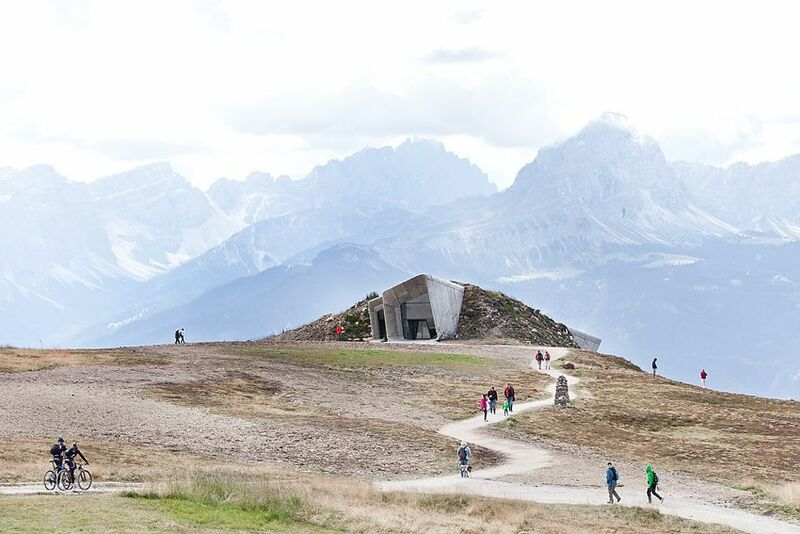 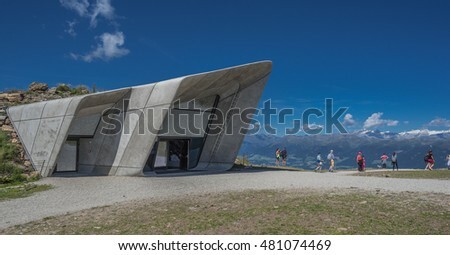 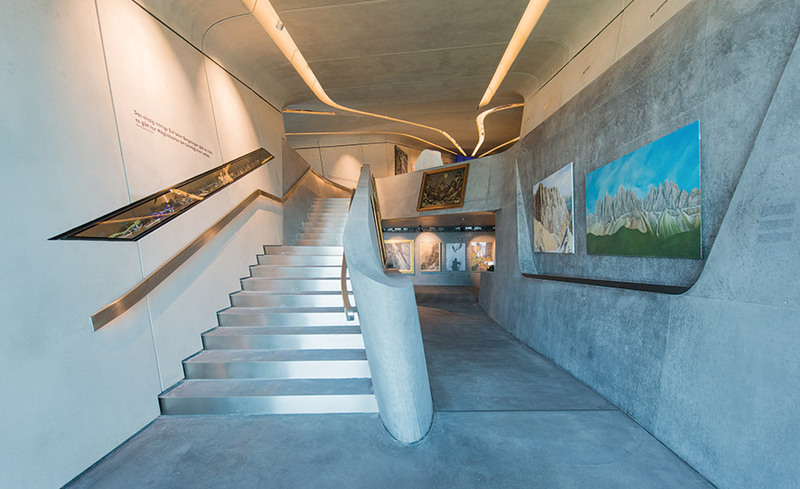 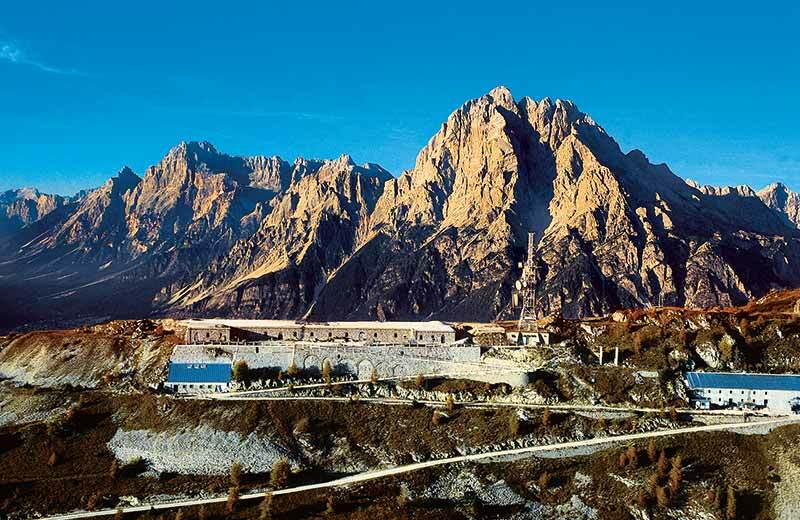 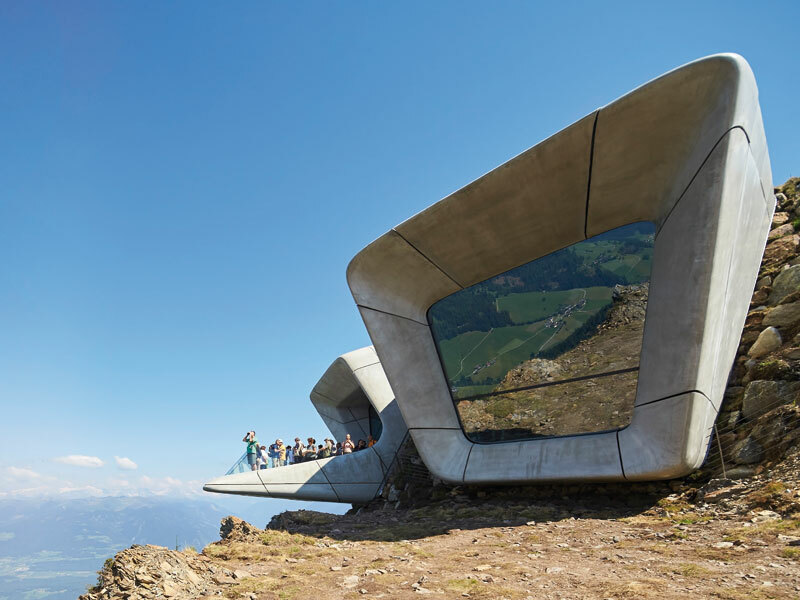 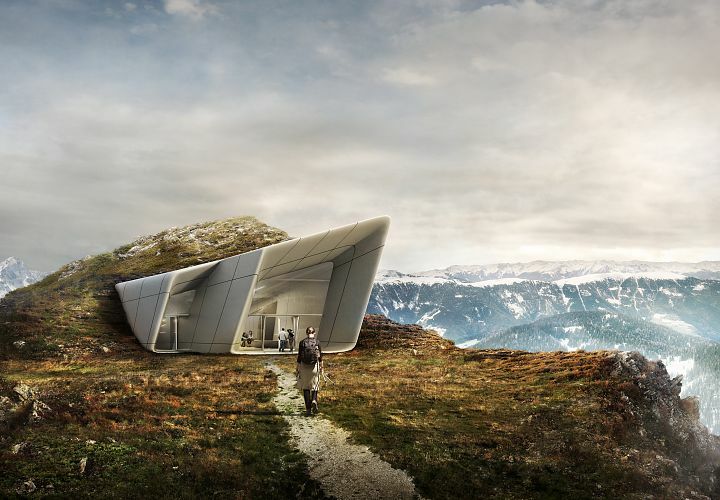 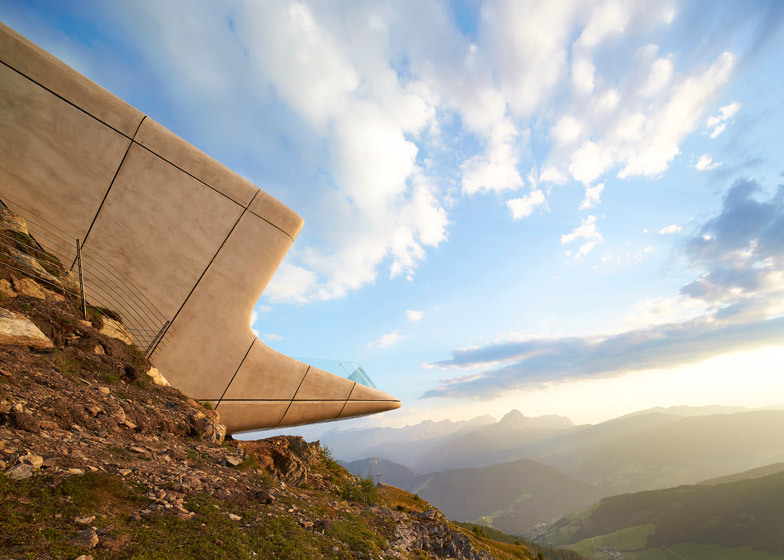 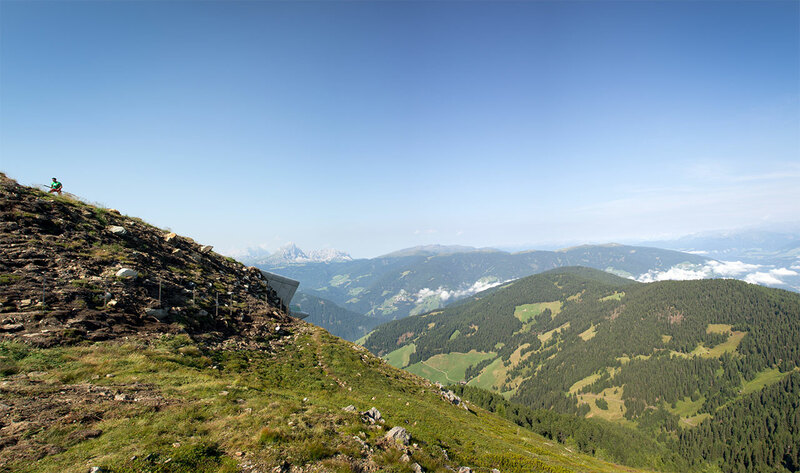 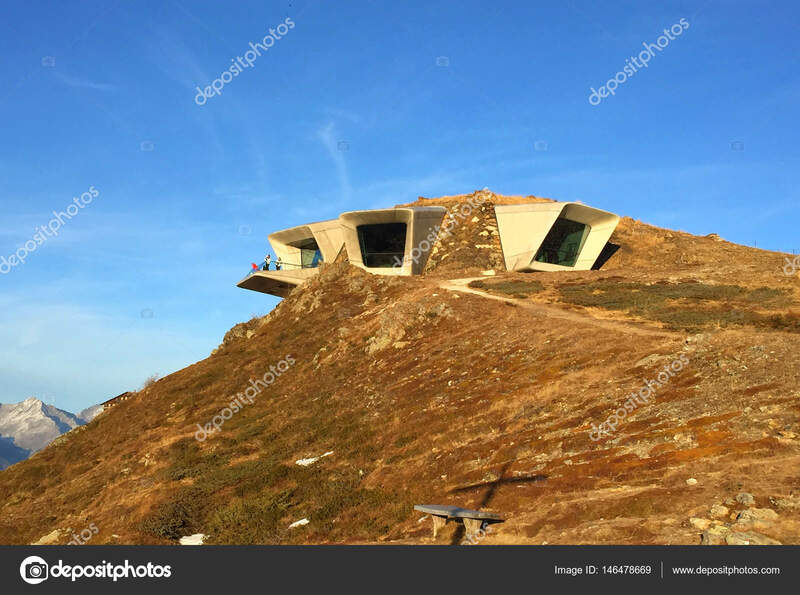 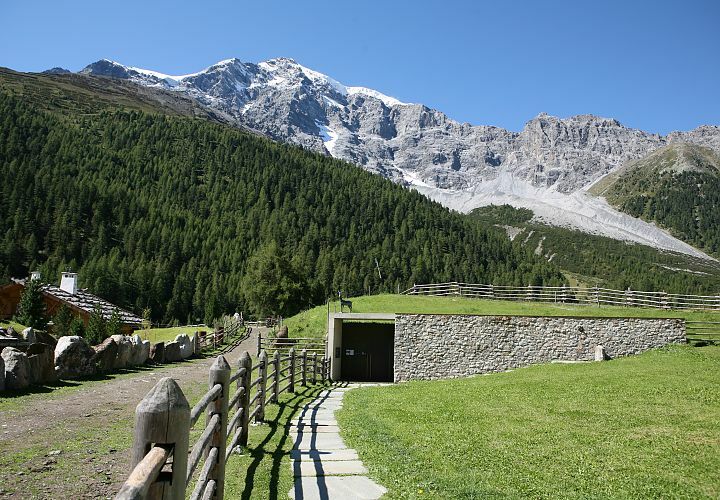 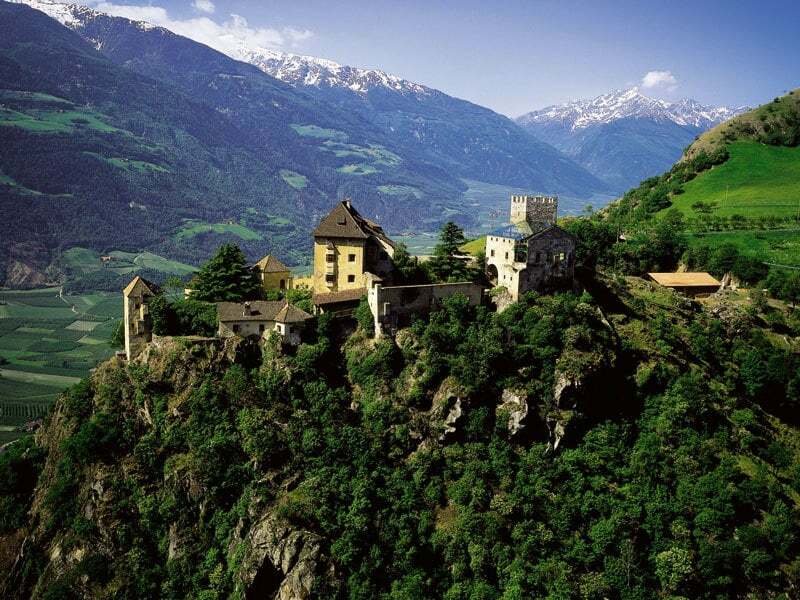 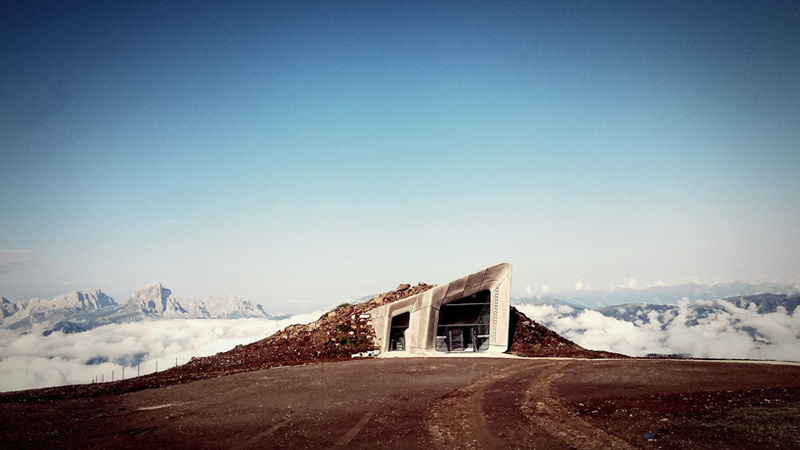 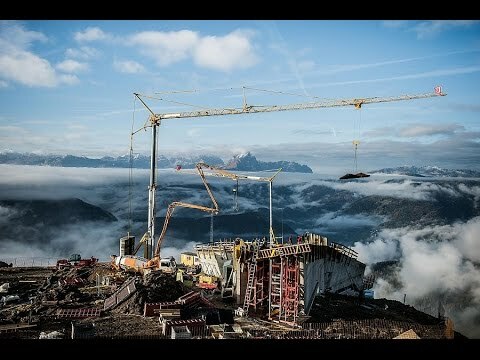 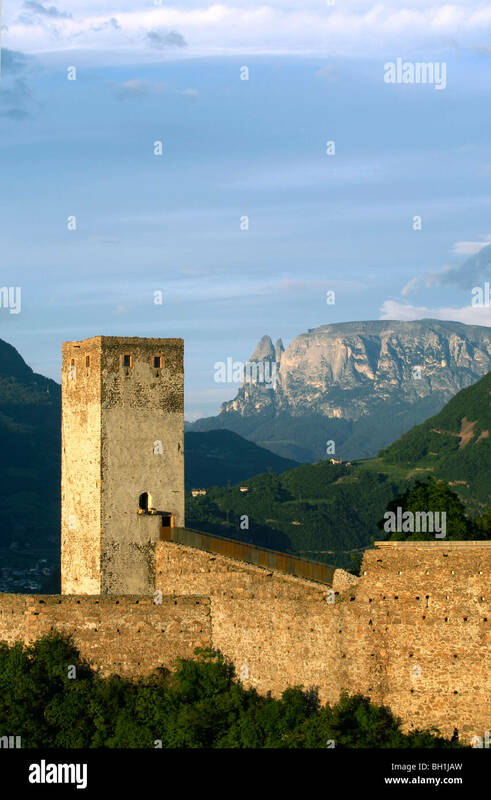 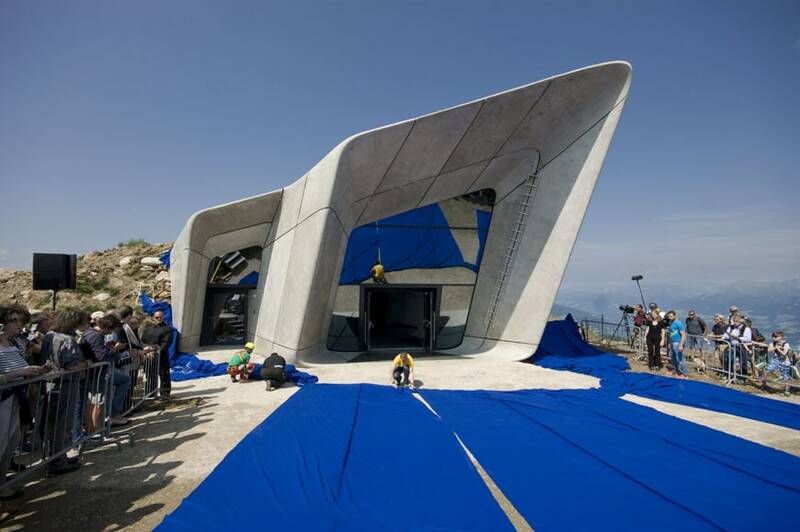 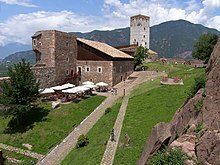 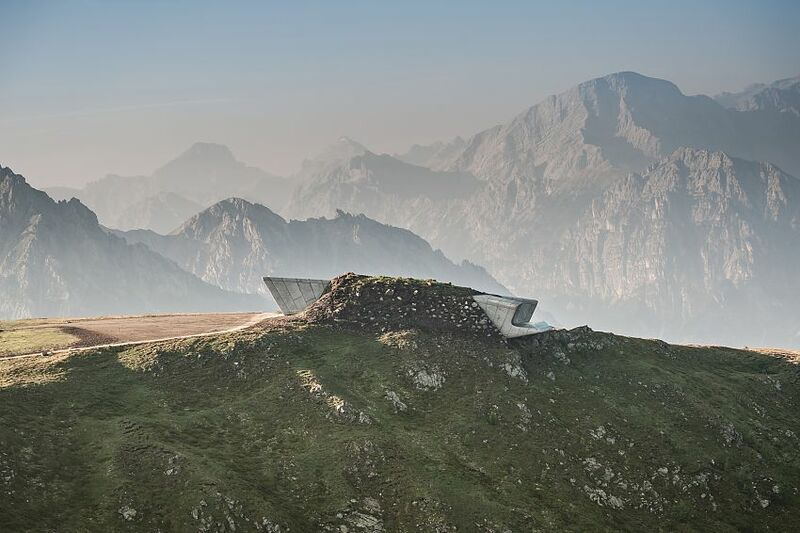 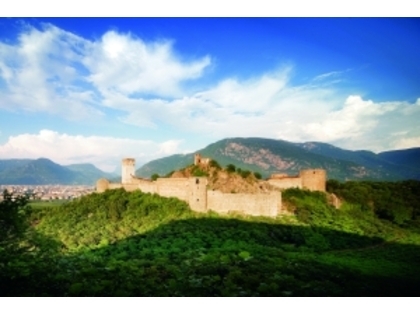 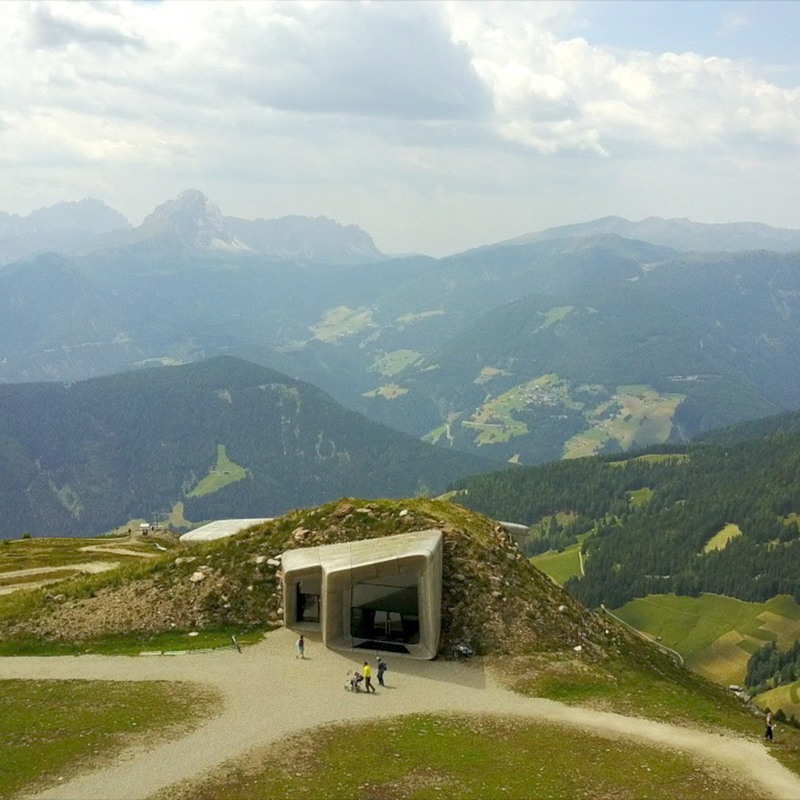 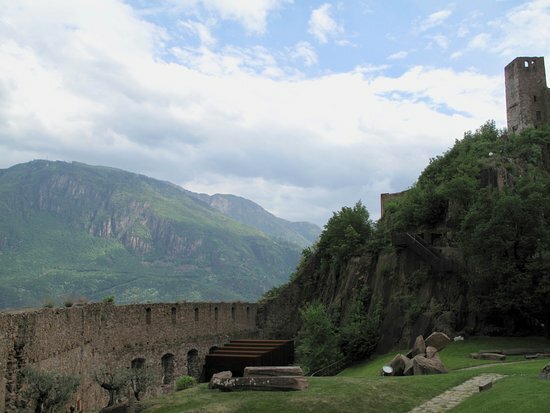 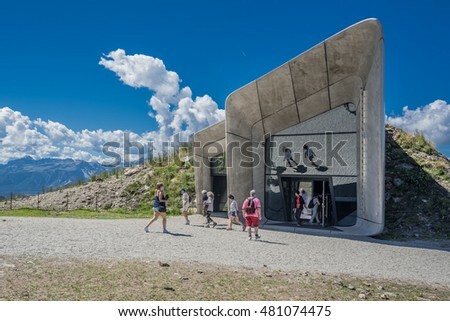 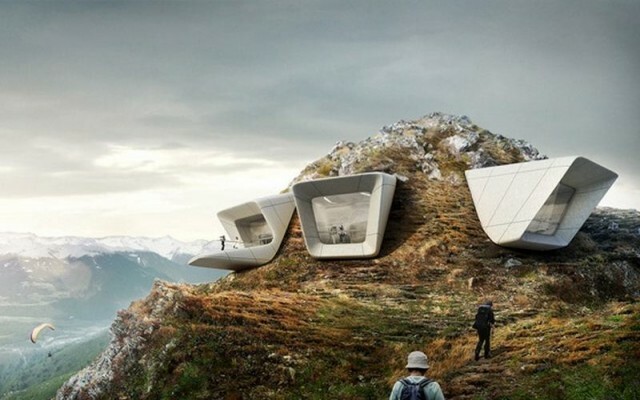 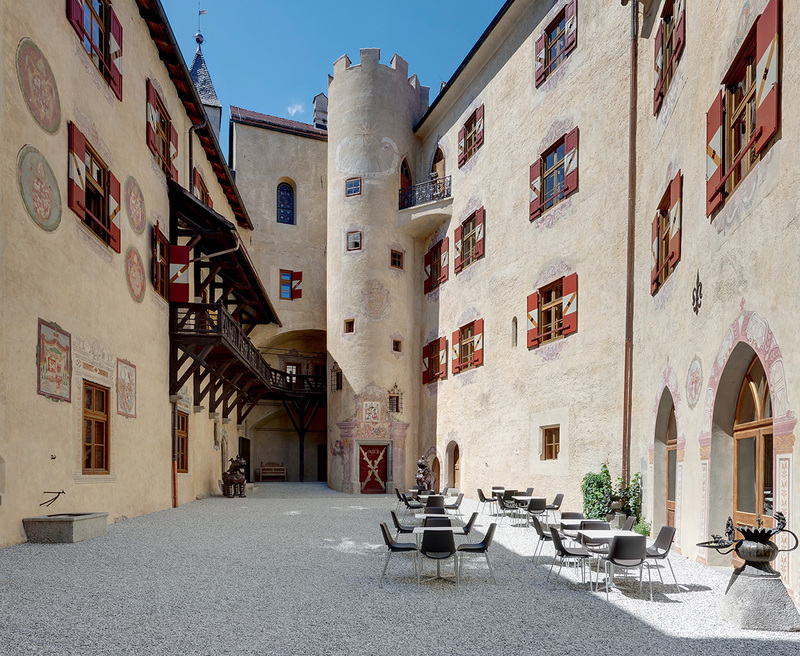 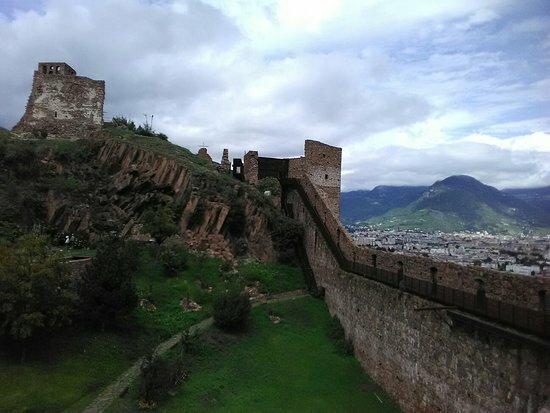 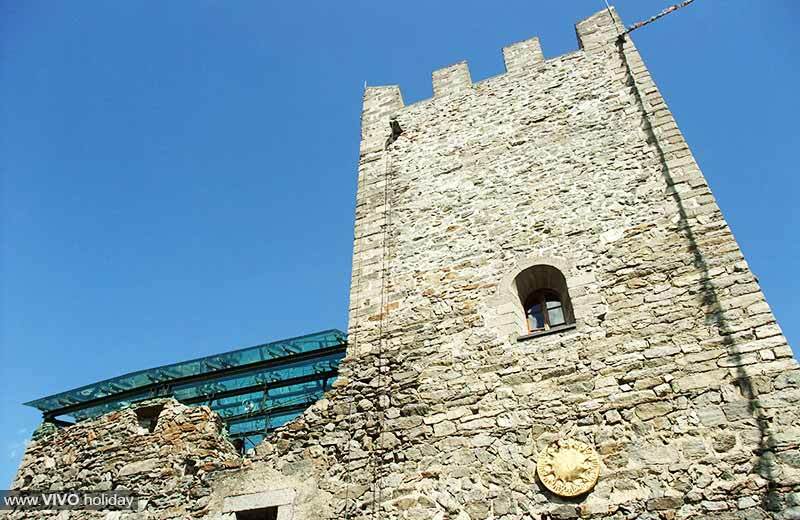 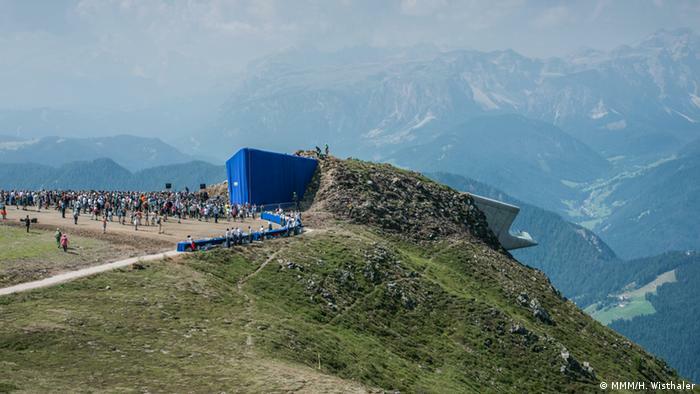 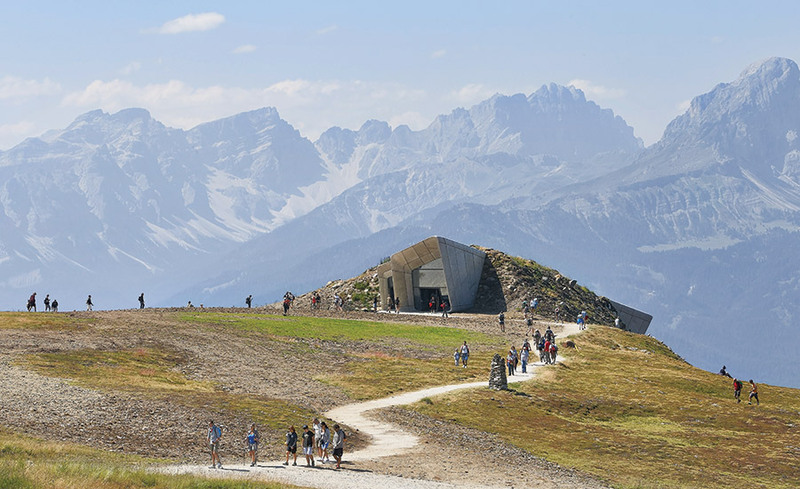 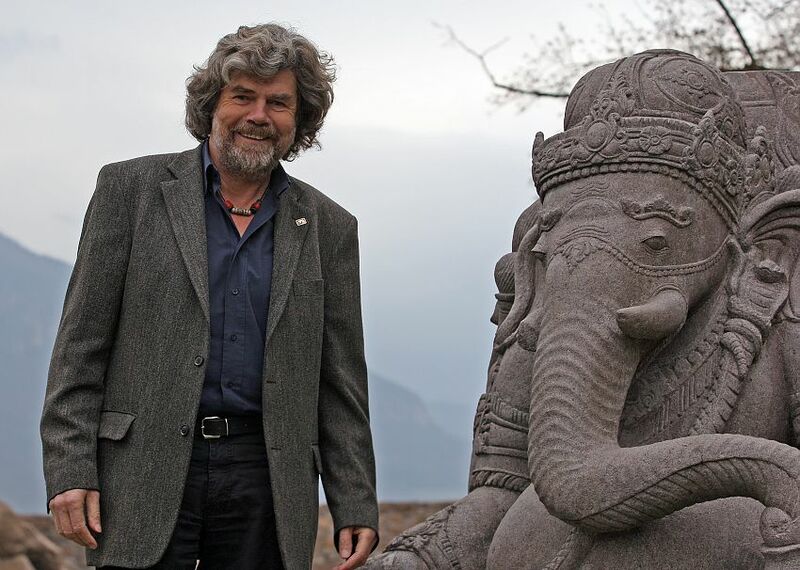 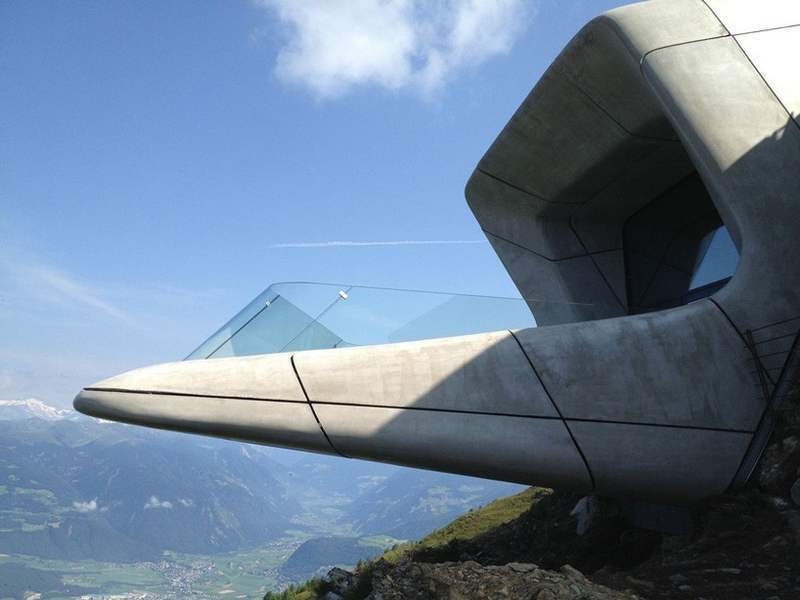 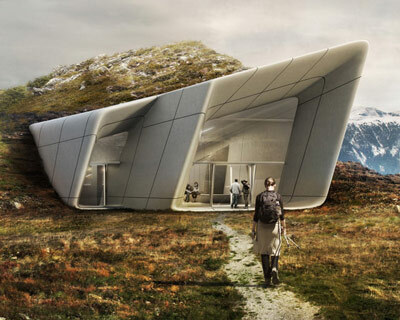 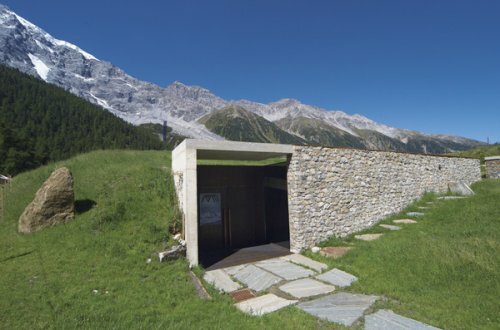 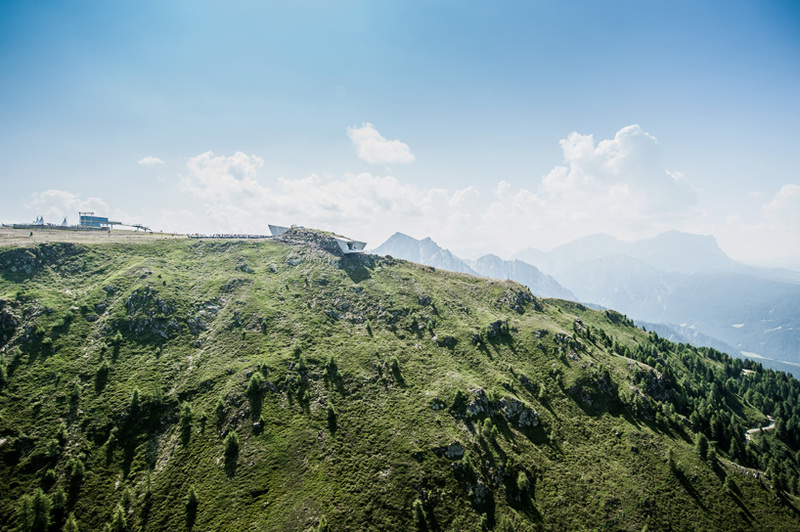 Messner Mountain Museum Corones, Mount Kronplatz, Italy. 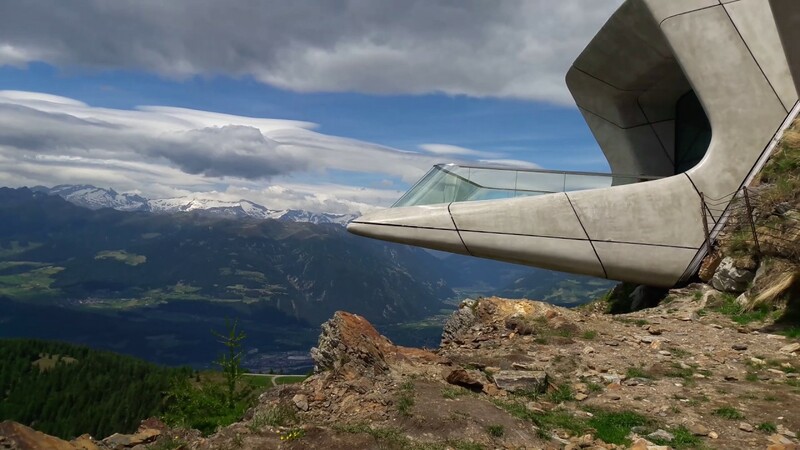 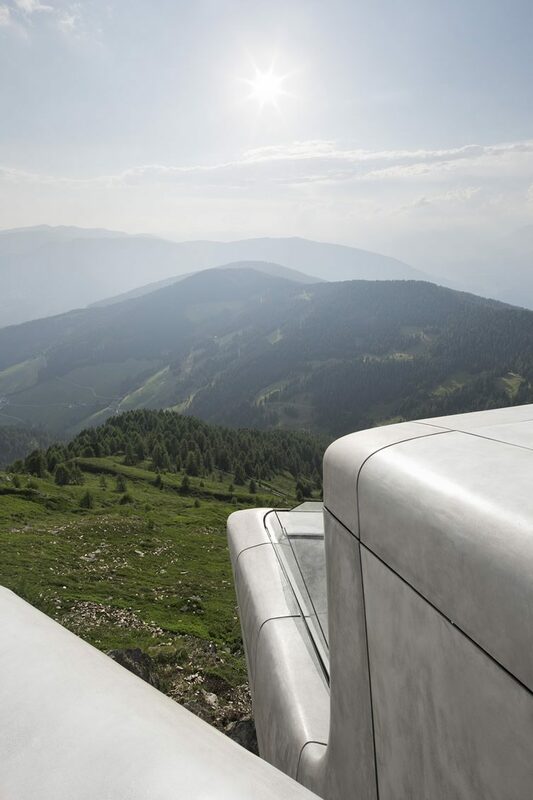 Architect: Zaha Hadid Architects, 2015.